and the algorithm DEEP DREDD (http://www.respeto-total.com/osvf/deepdredd/). 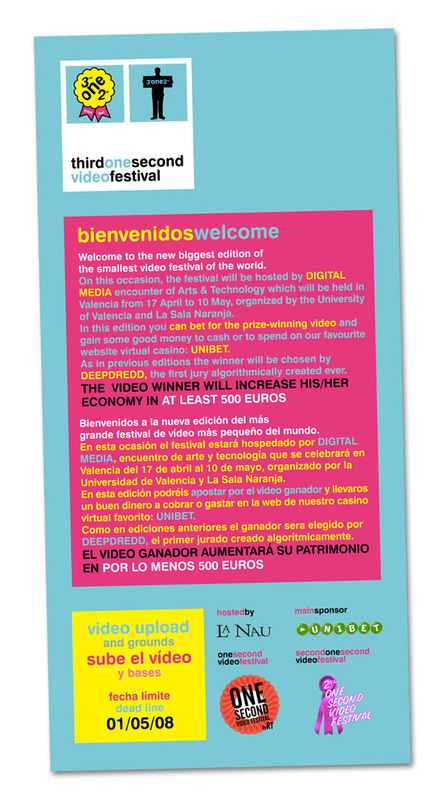 + THE  VIDEO WINNER WILL INCREASE HIS/HER ECONOMY IN AT LEAST 500 EUROS. y el algoritmo DEEP DREDD(http://www.respeto-total.com/osvf/deepdredd/). + EL VIDEO GANADOR AUMENTARÁ SU PATRIMONIO EN POR LO MENOS 500 EUROS. Prev by Date: <nettime-ann> Today is Auckland Time #2! Previous by thread: <nettime-ann> Today is Auckland Time #2!